Business cards are still a big part of business. While customers can go online and purchase from web to print providers, there is still a segment of the market that would like to talk to their local printer. You still need a business card cutter in your office. Why give up any business to others? Even your business card business. So, if you find yourself doing low-end business card business, you have to ask, are you losing money on cutting time? An easy machine like The RB Sun Manual 10-Up Handi-Slitter produces beautifully cut 2” x 3 1/2 “ business cards every time and it’s about as basic as you can get. Most business cards are printed on A4 stock with a 10-up layout, meaning they’re divided into 2” x 3 ½” cards. Just feed the sheet of cards in once to cut into 3 ½” x 8 ½” strips, then feed the strips through again to get the 2” cut. It even removes the trim. The RB Sun Manual 10-Up Handi-Slitter business card cutter is also somewhat portable at 40 pounds, making it perfect for storing and pulling out for those short runs or occasional business card jobs. 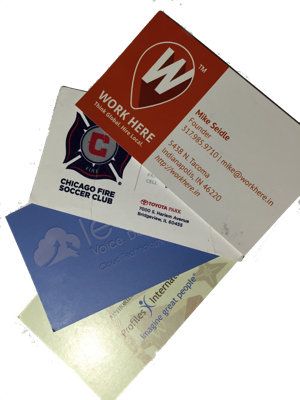 It also accepts all types of cards, including laser printed, foil printed, thermographed, color copied, ink jet printed, flat printed and copy shop product. This durable unitasker may only do one job, but it does it well. The 10-Up Handi-Slitter currently sells for $1095.00 on our website and is under warranty for a full year. 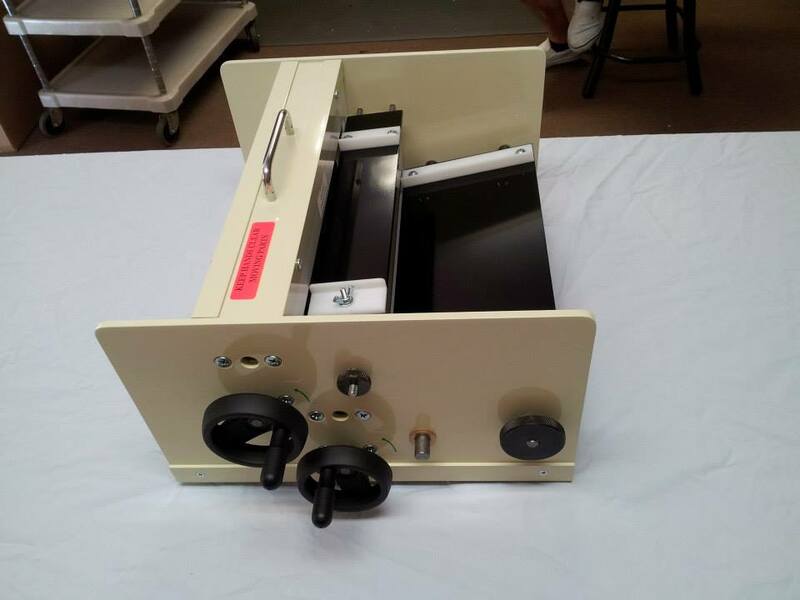 For more information on the RB Sun Manual 10-Up Handi-Slitter, visit our website.